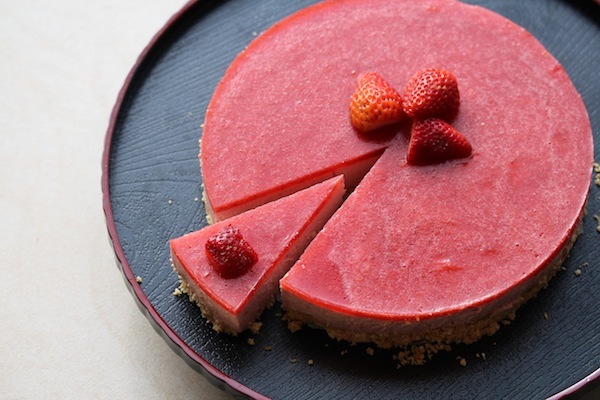 Whenever I crave cheesecakes during the summer, I turn to this fuss-free, no-bake recipe that shows off fruits at their peak. At its heart, you have a crust made of melted butter and crushed biscuits, a soft bed of whipped cream cheese and sugar, all topped with a fruity presentation glaze. A simple yet stunning tri-colour, tri-layer effect. 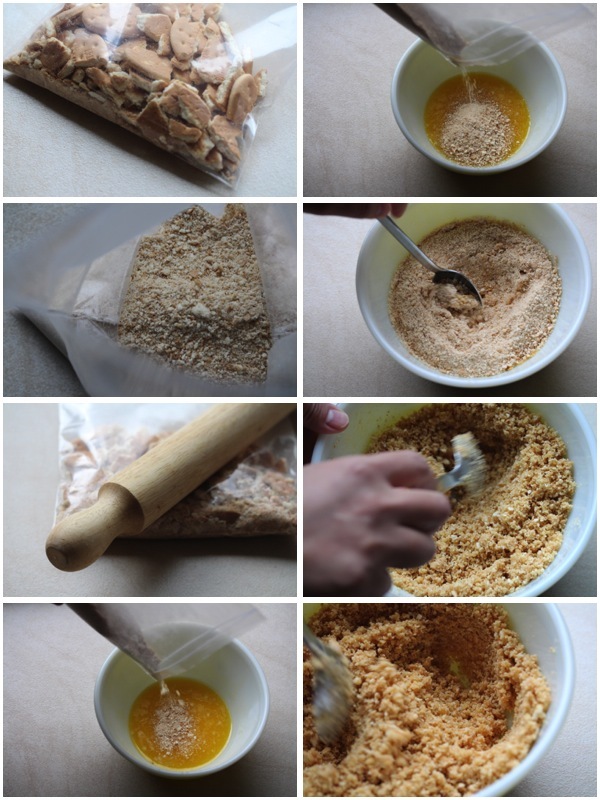 Put biscuits in a re-sealable plastic bag and crush with rolling pin into fine crumbs. Mix with melted butter and press into a springform pan lined with greaseproof paper. 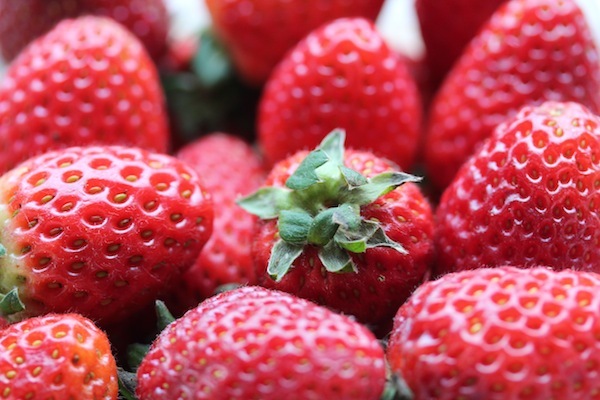 Cook strawberries with granulated sugar until soft then blend. 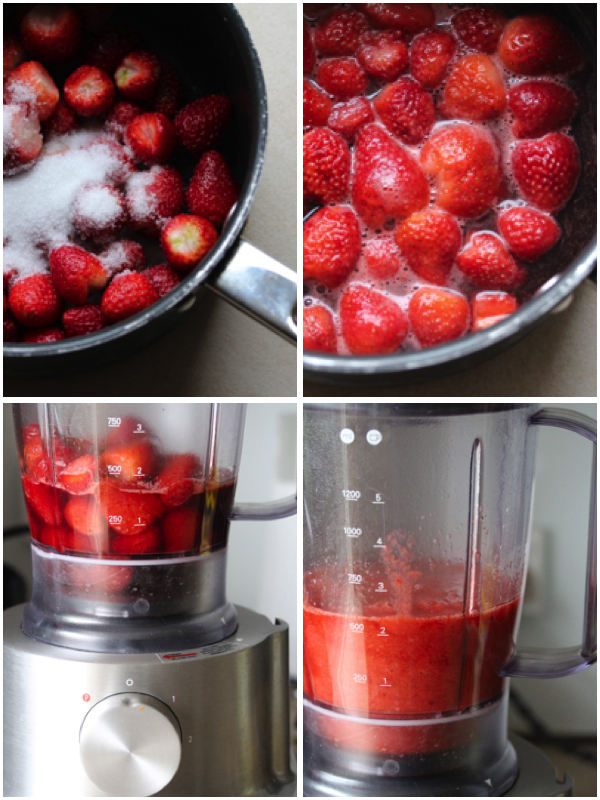 Stir gelatine in hot water until dissolved and add into strawberry puree. Add juice and zest of lemon. 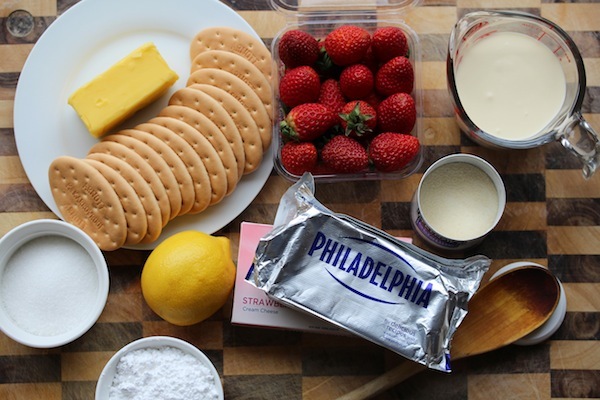 Using an electric mixer or wooden spoon, beat cream cheese until smooth, making sure there are no lumps. 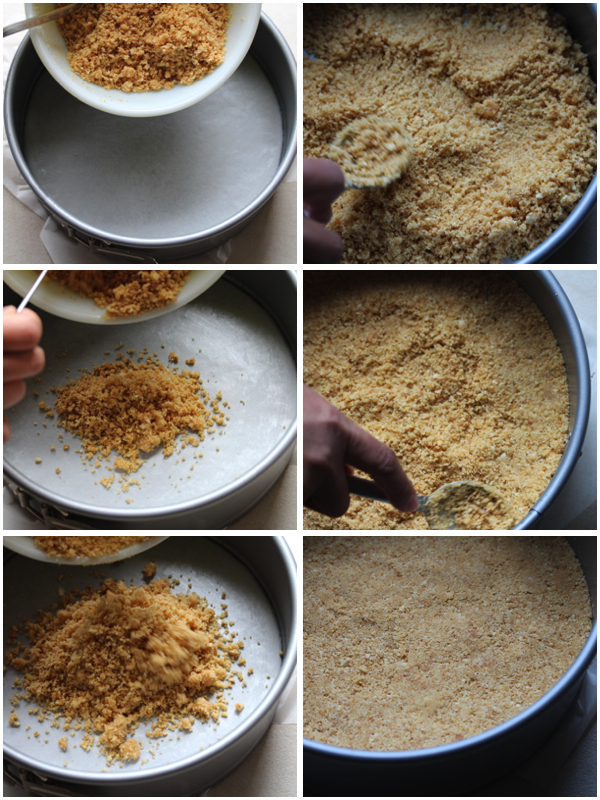 Mix in confectioner’s sugar and beat some more. Beat in whipping cream until fully incorporated. 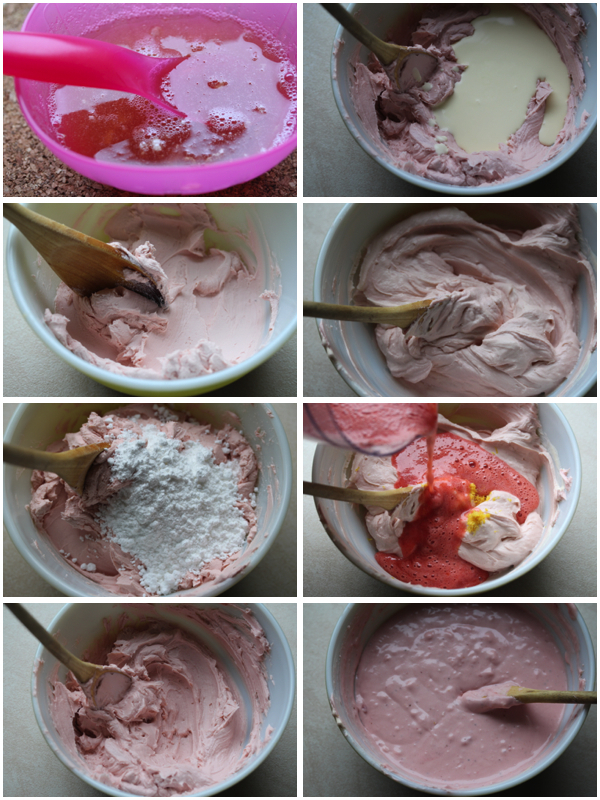 Now add only half of the strawberry mixture into the cream cheese batter, mixing thoroughly. 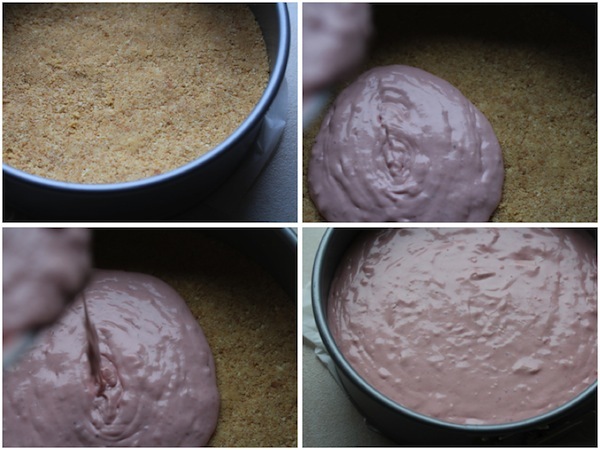 Pour this over biscuit base and chill for one hour. 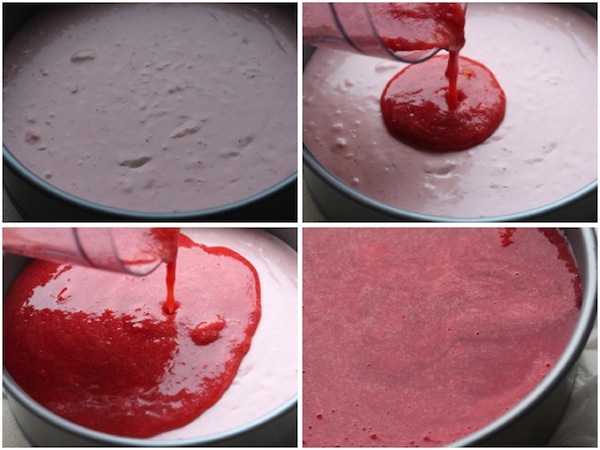 Finally, pour the remaining strawberry puree over the cake to create a third layer. 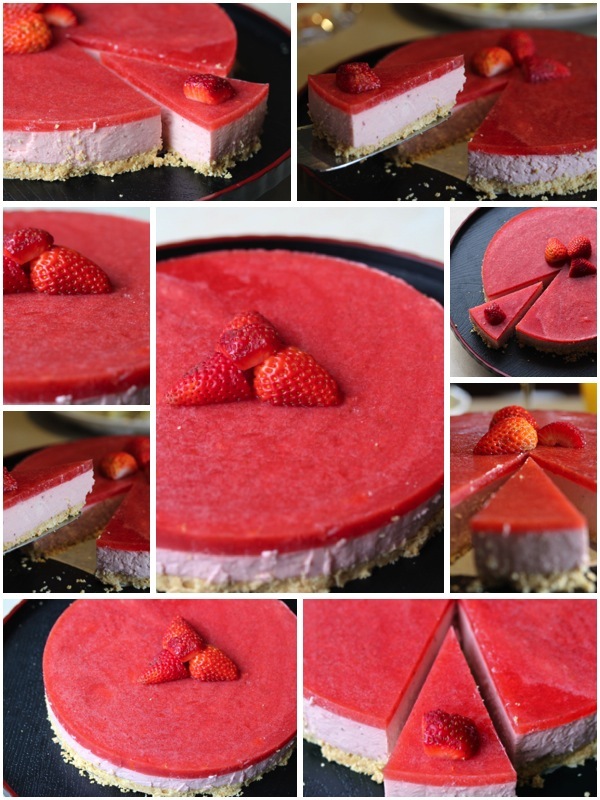 This entry was posted in Recipes and tagged baking, butter, cookies, cuisine, desserts, food, fruit, gourmet, kitchen, oven, recipe, recipes, summer, sweets, treats, vegetarian.